INTERIOR: Black blue leather in good condition, a few marks but nothing major, still very very comfortable, carpets are all clean and in tact. There are heavy duty matts over also. There is air con inside which we have just regassed. Electric windows and mirrors. Electric powered roof which can go all the way down or open as just a sunroof. Plastics inside are all in very good condition. MECHANICALS: The engine sounds great and is very responsive, The gear box and the clutch do as they should. There are no unusual noises and the car drove extremely well on test drive. PAPERWORK: I have a full service history here stamped in the book up to 50k. The last owner has done very few miles in it. The book pack and all manuals are present. The mot is until January of 2019 we can include a new mot for the full asking price. 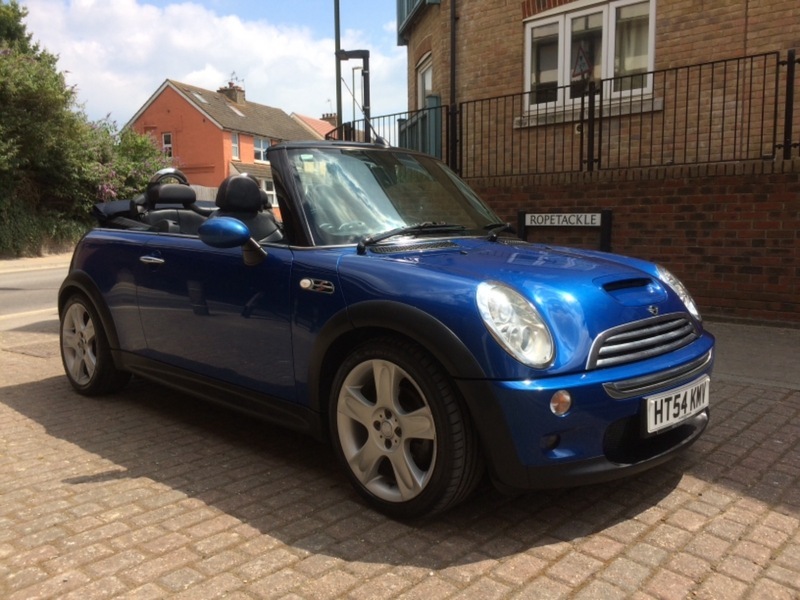 OVERALL: This is a very very nice looking mini convertible that drives as well as newer ones I've driven, Very quick and fun to drive also.